HomeBreedsMiniature Golden Retriever: Is The Comfort Retriever The Dog For You? You might be wondering, how do you make one of the best loved dogs in America so small? Miniature Golden Retrievers, also known as comfort retrievers, are a mix of Golden Retrievers and Poodles, sometimes Cocker Spaniels. They share 50-75% of their genes with the standard Golden Retrievers, but 100% of their personality. You can expect a loving, loyal and calm dog. You will find they want to be in the middle of everything and love attention – perfect for a family that loves dogs! In this article we discuss everything you need to know about them, including their temperament, how to care for them and much more. Is A Miniature Golden Retriever A Good Family Dog? How Much Do Miniature Golden Retrievers Cost? This designer breed first appeared in the 2000s and has since become very popular. It is claimed that Kathy Burgess was the first person to breed ‘Comfort Retrievers’ in the hopes of making Golden Retrievers a more manageable size. The breed is mainly a mix of a Golden Retriever and a Poodle. Some breeders breed with Cocker Spaniels, but they can carry some temperament issues, so it’s generally avoided. As they are a designer breed, they are not recognized by the American Kennel Club. They are mostly used as a companion animal, with families. But they are commonly used as a therapy dog because of their kind and calm temperament. This dog is selectively bred to keep all the good looks, yet to shrink them down to a more manageable size. Of course, because it is a cross breed there is more variety in each litter than a purebred litter. You should expect them to have floppy ears and a straight, long muzzle. Their eye color will depend on their genes; if they favor the Retriever genes, they will be brown. But the Poodle genes can make their eyes blue or amber. 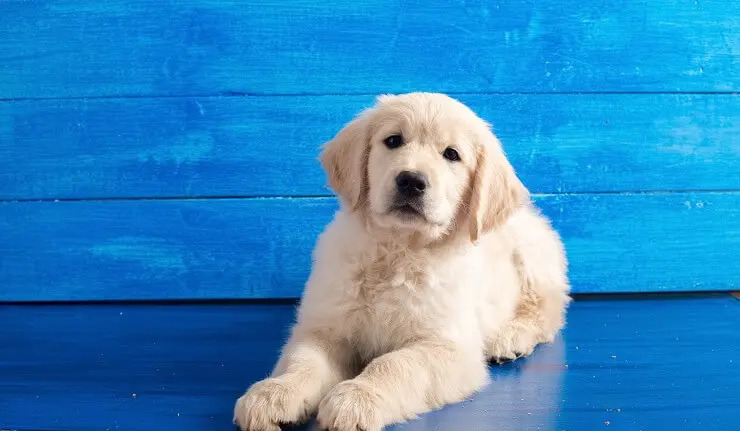 There is no standard height and weight as they are a cross breed, but they are smaller than a normal purebred Golden Retriever. Your pup’s exact size will depend on their genetics. If the puppy favors the Golden Retrievers’ genes, they will be a bit bigger. Whereas if they favor the Poodles’ genes then they will be smaller. You can expect them to have golden coats of varying colors, just like a standard Golden Retriever. Colors can range from white and cream through to redish gold. You should expect your pooches’ coat to be medium length. It will generally be a firm, wavy coat (like the Golden Retriever), but occasionally they have curly and soft coats (like the Poodle). 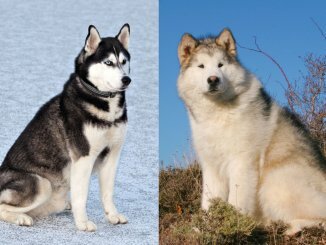 You can also expect them to inherit the double coat, with a dense under coat and a firm outer coat. However as a cross breed their exact coat will vary depending on the genes the puppy receives from their parents. They will have a loveable personality just like the Golden Retriever. They are friendly, smart, and calm. Their exact temperament will depend on their parents, fortunately though, they are both friendly and intelligent. They are both incredibly loyal and will bond quickly with their family members. Our bond with dogs is built on the neuroreceptor Oxytocin which is commonly called ‘the love hormone’. Dogs experience a rush of this hormone when they interact with us, which gives them a happy feeling! This is what causes the strong bonds to form between you and your dog. You should also expect high high energy levels; they love to play fetch, they are retrievers after all! If you could sum up their personality into one word it would be friendliness. They have no problem with socializing with other people and dogs. Now for the negative aspects of their personality. They can be prone to barking at the odd noise, or unknown situation. They will likely bark at the doorbell, out of sheer excitement because they get to see someone new who will give them attention! They can not be used as a guard dog, as they trust strangers too easily for them to be reliable. They also suffer from destructive behaviors like chewing. This is normally caused by boredom, or stress. To avoid this, keep them well exercised and active. Give them strong toys to keep them away from your very chewable shoes! Some breeders will use a Cocker Spaniel instead of a Poodle, but this puppy can inherit the temperament of the Cocker Spaniel. In particular they will be prone to nipping and biting, and overall less family friendly; so it is best to avoid these cross breeds. They are a great family dog and love lots of attention. A family with children is where they thrive as they are friendly and patient. They will devote their love to all family members and will have strong attachments. 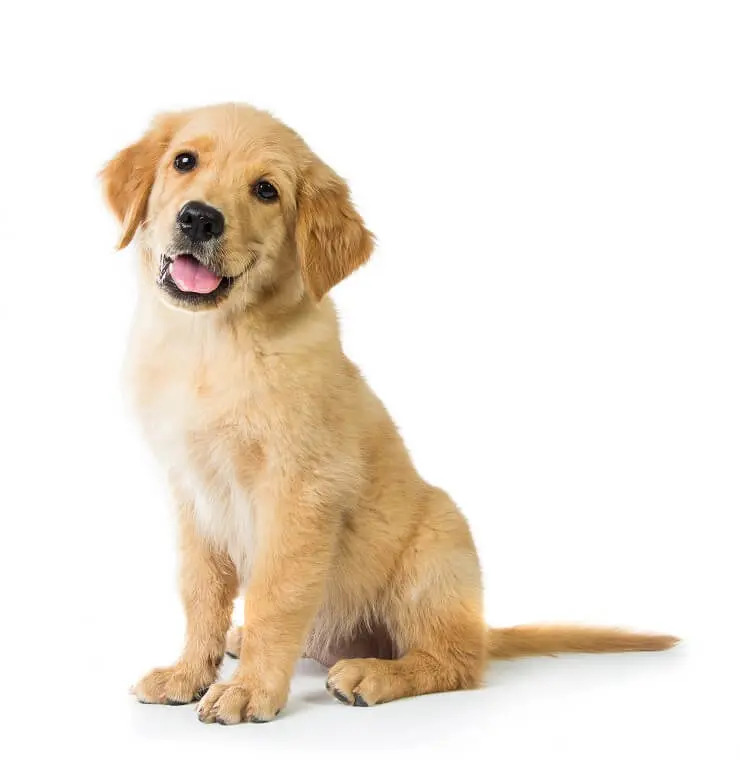 The Miniature Golden Retriever is intelligent and eager please, which makes them easy to train. Training should start as soon as you bring your puppy home. Socialization is very important in a puppy’s development. You could take them to a puppy class, or park, to meet new dogs. Positive reinforcement has been shown to be most effective when training dogs. Whereas punishment has been shown to cause problematic behaviors and can affect the bond you have with your dog. It was found that punishment increases levels of anxiety and stress in a recent study. Give them a treat when they follow your command or give them some praise and attention. A common problematic behavior is barking at the doorbell and jumping on people. To stop this behavior, it has been proven that giving your dog a distraction will reduce the barking behavior. An example of a distraction is telling your dog to get in their bed and give them a treat. To be successful, you have to be consistent and use the same distraction every time. They are also prone to chewing when bored, to prevent this they need mental stimulation. This can be provided by giving them toys, puzzle feeders and playing games with them. Puzzle feeders are commonly used to keep your dog thinking. You put the treat in the toy and the dog has to figure out how to get the treat out. You can buy simple puzzle feeders such as Kongs very cheaply. Mini Retrievers are best suited for active families, who want a more comfortable sized dog and will devote their time and attention to. They will need a large back yard to run around in and play fetch. It is impossible to predict how much they will shed. They could inherit the Golden Retriever coat, where they shed heavily. Or they could inherit the Poodle coat, where they only shed a little amount (more on this later). They have high energy levels, so be prepared to exercise them every day to keep them at a healthy weight. Around 90 minutes of exercise is needed to prevent boredom and destructive behaviors. Take them to the local dog park and play fetch. As with every dog, it is probably best to walk your dog on a leash before you are completely confident that your dog listens to your commands. Always remember they love socializing, so they may go running off to the other side of the park to say hello to another dog or person! Remember they are retrievers so they love fetch and games like this. As this is a cross breed, it is almost impossible to predict the length of your puppy’s coat. But whatever the length, your dog will need moderate grooming. Due to the length of their coat, they can get smelly after a while, so it’s best to give them regular baths. They will also need weekly brushes to get rid of tangles and matting in their fur. You should check their ears for wax build up and debris regularly. You also need to brush their teeth regularly, or you can use dental stick alternatives. Clip their nails regularly to avoid overgrowth and cracking. If you are not confident in doing this, your vet or local groomers can. When you get your puppy, you should feed them the same food the breeder did to avoid any stomach upsets. You can then gradually change the food. How much you feed your dog is dependent on how much they weigh. A rough estimate is you should be feeding your dog 1.5 cups of kibble for around 20-30lbs and 2.5 cups for 40-50lbs. If unsure, always ask your vet. You should be feeding your dog twice a day, once in the morning and once in the evening. Or three/four feedings for puppies. What you decide to feed your dog is an individual choice. It needs to provide them with the correct nutrients they need to stay happy and healthy. Proteins are essential, your dog needs them for energy by converting them to glucose. Dogs prefer meals with lots of protein in it. Your dog also needs dietary fats, which is where they get the most concentrated source of energy. Essential fatty acids keep your dog’s coat healthy and shiny. Food for you dog also needs to be high quality. Avoid artificial fillers in dry food, such as corn syrup, as these are high in carbs and can be harmful for your dog. Obesity is also a common problem with domestic dogs, so keeping your dog active regularly will keep them healthy. Also avoid giving them too many treats and feeding them leftovers! Cross breeds are healthier than purebreds as there is less risk of genetic disease. Purebreds are more prone to health issues due to years of inbreeding, whereas cross breeds have more genetic variety and more chance to avoid health problems. 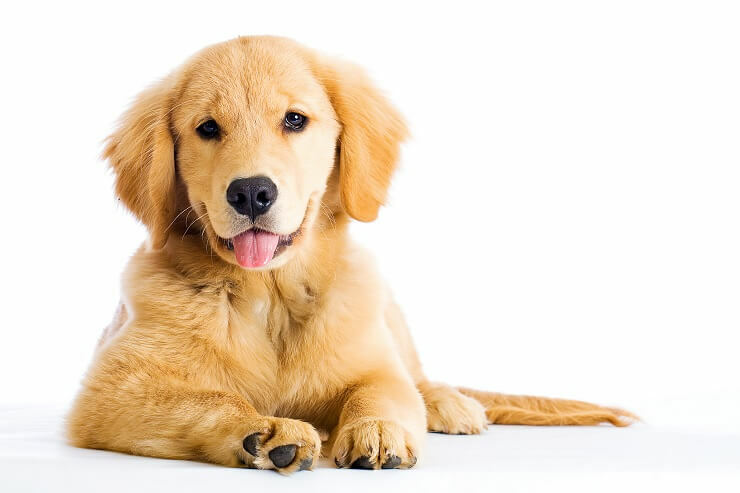 Because the Miniature Golden Retriever is a cross breed it is difficult to tell what health issues they could have, so it’s best to look at the parents’ health risks to have a better understanding. 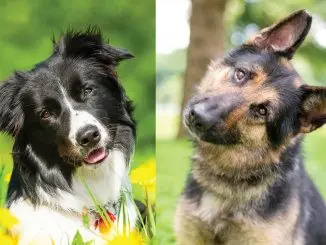 Both can suffer from Hip and Elbow Dysplasia. Eye disorders are common health issues. Poodles especially suffer from cataracts which can lead to blindness. Poodles also can suffer from diabetes, which occurs more in older dogs. Golden Retrievers can suffer from hypothyroidism, this is where the thyroid is not producing enough hormones to regulate metabolic rate. 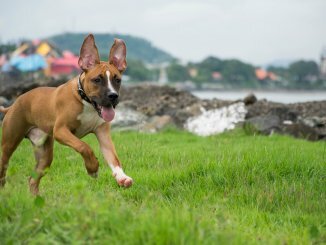 Thankfully, with the variety of genetics on your dogs’ side, these health problems are not as likely to happen. To give you the best chance of a healthy pup, always ask the breeder for health certificates of the puppy’s parents. How Long Do Miniature Golden Retrievers Live? The average lifespan of a Miniature Golden Retriever is 10-15 years. When looking for the perfect puppy, it is vital you find a reputable breeder. And as they are growing in popularity, it is likely people will want to take advantage and con potential buyers. It is best to avoid breeders who have bred with Cocker Spaniels instead of Poodles. Cocker Spaniels don’t have family friendly traits, they wouldn’t suit that environment. Responsible breeders are caring and want the puppy to have the best welfare. They will be open to answering any questions you may have about the litter or mom and dad. When you think you have found a puppy you like, visit the breeder and ask to see the puppy with mom. If they refuse, chances are they aren’t responsible. Seeing the mom will give you an idea on her health as well as the puppy. It will also give you a chance to see the puppy’s personality and temperament with the rest of the litter. You should ask to see any certificates about the puppy’s health and vaccinations and ask about the parents’ health as well. Breeders can undergo genetic screening, which can reduce the prevalence of some genetic health risks, such as Hip Dysplasia. 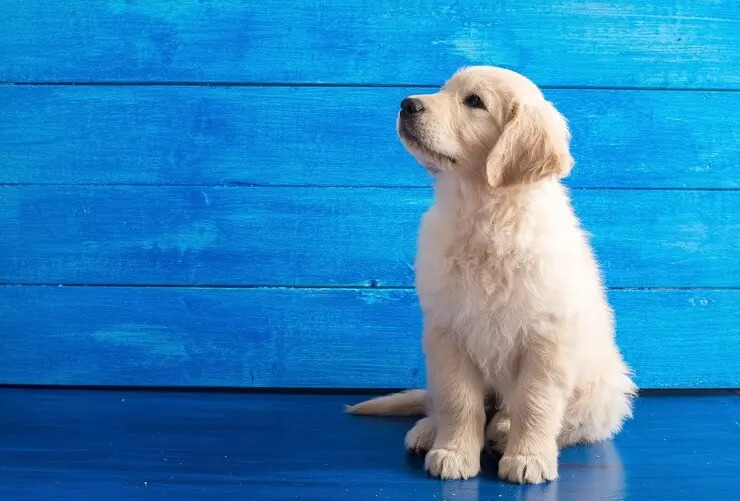 A Miniature Golden Retriever will cost between $700 to $6000 (more renowned and respected breeders will be more expensive). Lovable, friendly and easy to train. If your family is active and willing to commit to dog who needs lots of attention, then this is the dog for you! They need daily walks and mental stimulation. Give them lots of toys, and lots of attention, and they will be very happy pups. A mini version of a Golden Retriever; what’s not to like!